We've been sold out of Saga framesets for a while, but I'm happy to announce that the first batch of 2015 Sagas has arrived! 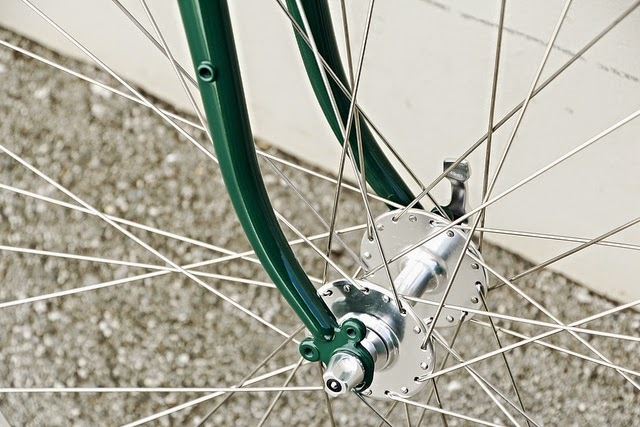 Pictured with this frameset are the new Suzue aftermarket touring wheels. These are the same wheels we use with the Saga Complete bikes, and feature sealed bearing high flange hubs and polished, eyeleted rims. 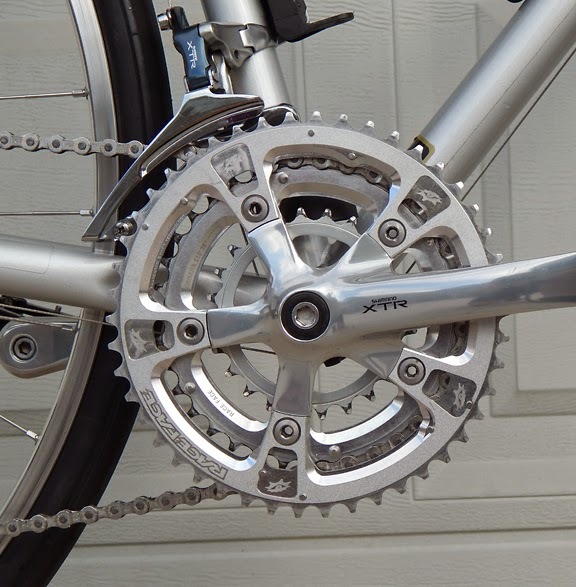 700c disc, 700c road and 650b road options are also in stock as of this posting. 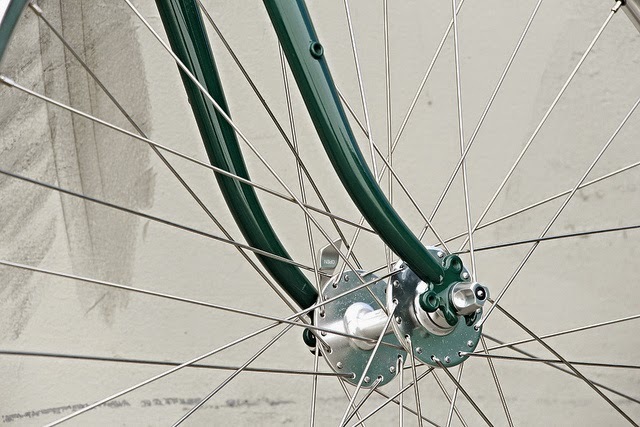 The only major change we've made this years was to include our V2 Classic Curve forks in matching british racing green. 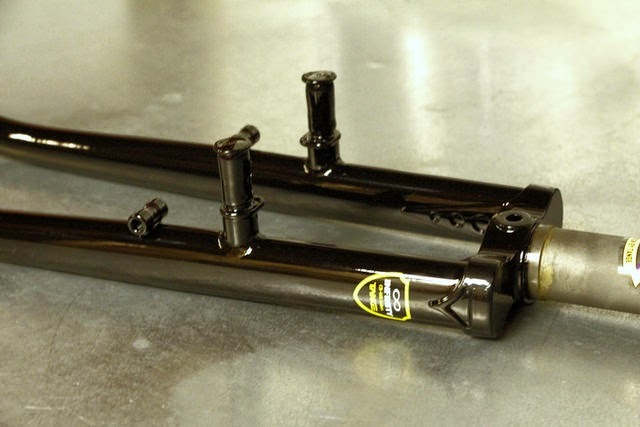 These are now standard with all Saga Framesets. The other dimensions, and braze ons remain the same as previous years. 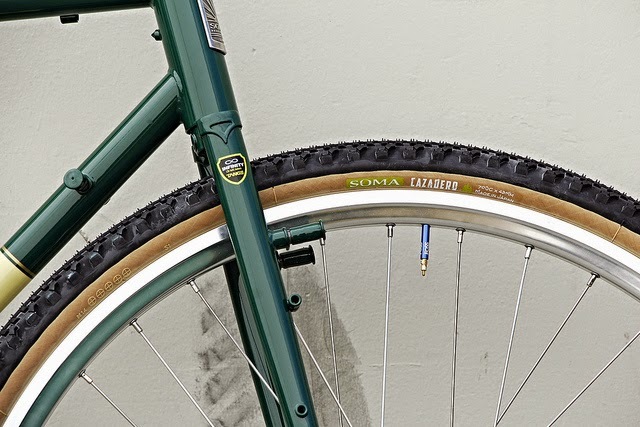 If you can't tell from the logo, these tires are the new Soma Cazadero Mixed Terrain tires. We have both 700c and 650b options in black or skinwall in stock now. 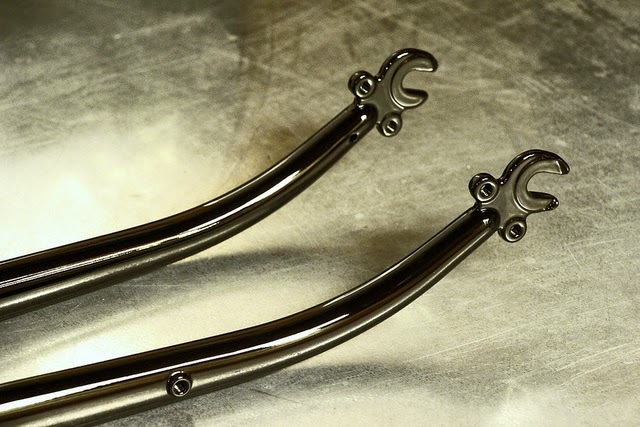 The Classic Curve forks are similar to our new Champs Elysees forks, however they feature the same amount of offset as the original Saga forks, so the handling will not be affected by this change. For those waiting on the next run of complete bikes, we expect them to arrive in late October. 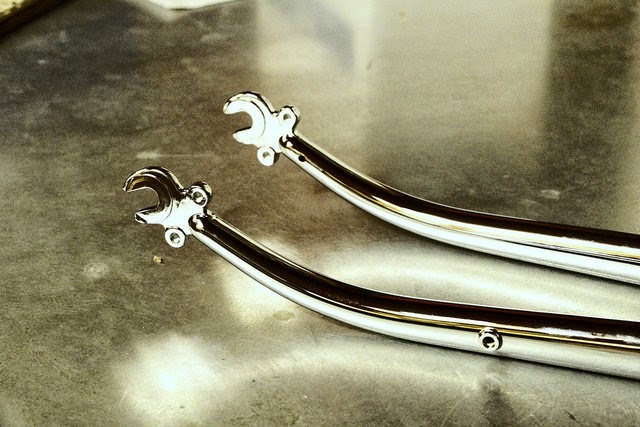 We also have some new Classic Curve Canti aftermarket forks that just arrived. 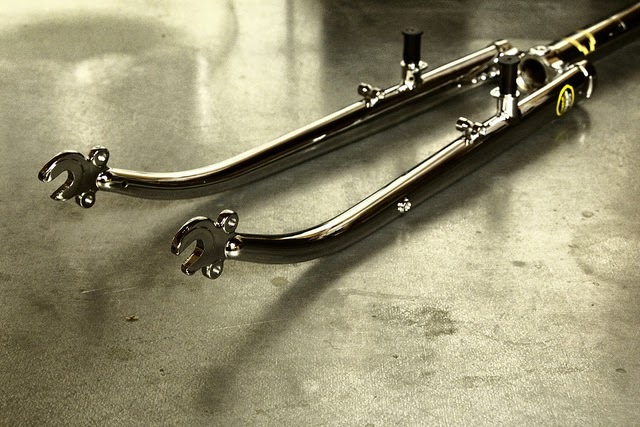 These feature the mini rack eyelets we've been adding to many of our other fork models. 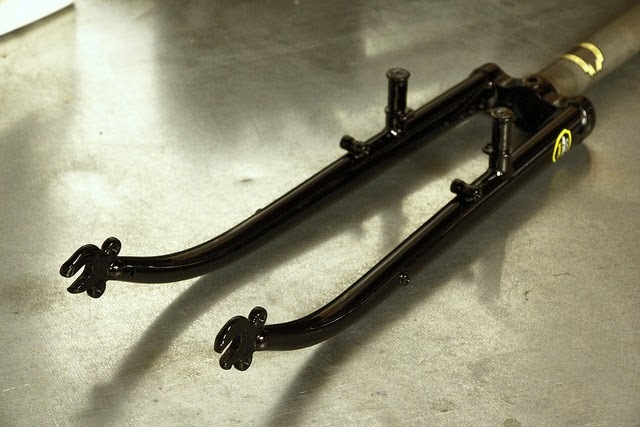 For the first time we're also offering the Classic Curve in a black version. 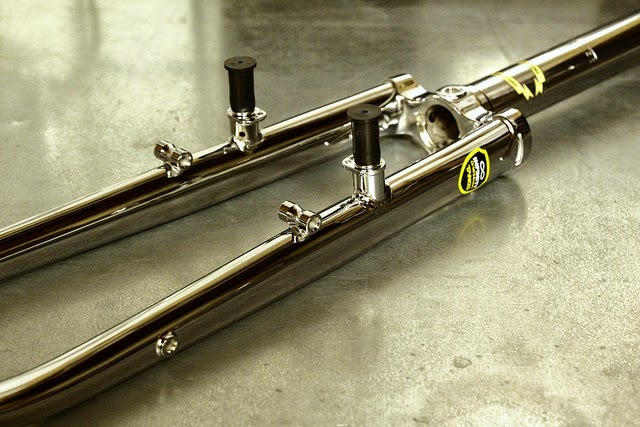 This will look really good with the New Albion Privateers, as well as many other bikes that are out there. These will all be available via the Soma Store soon, but if you can't wait just call your local Soma Dealer and ask them to place a special order with our distributor in SF. Thanks for the help on sizing, I'm glad I went with the XL. The bike rides as good as it looks, I've been on it 5 days a week since building it up. 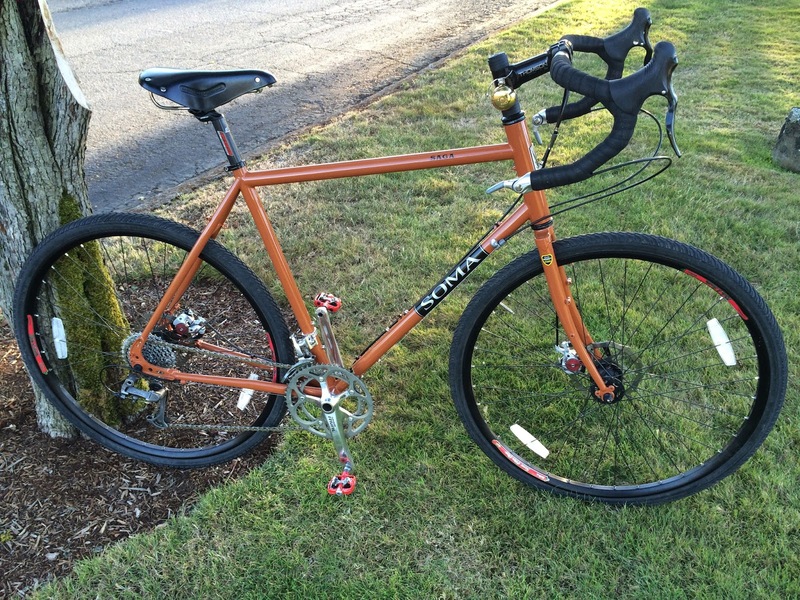 It transitions from kid-dropper-offer, to commuter, to upper campus trail slayer as gracefully as any bike ever could. Best money I've ever spent! I went with a budget build and the bike is still a flat out ripping wheelie machine! Taken at the Upstate Forever Preservation Ride (South Carolina). Built by Boyd Cycles. Brian of the Wunschreiten blog recently picked up a Smoothie. 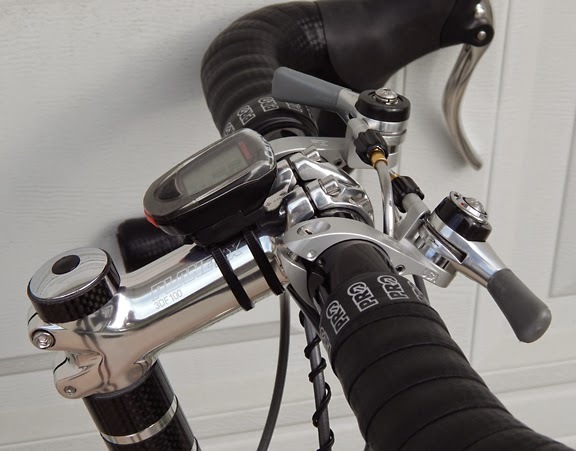 See what he thinks of it coming off an aluminum frame/carbon fork set-up after 3 years. He used his Strava to test its climbing and general speed abilities vs. his old ride and had no problem finding some distressed tarmac to see if the Smoothie lived up to its name. Check it out. "After my first few rides, including a couple of long rides, I can say that this bike completely lives up to its name. 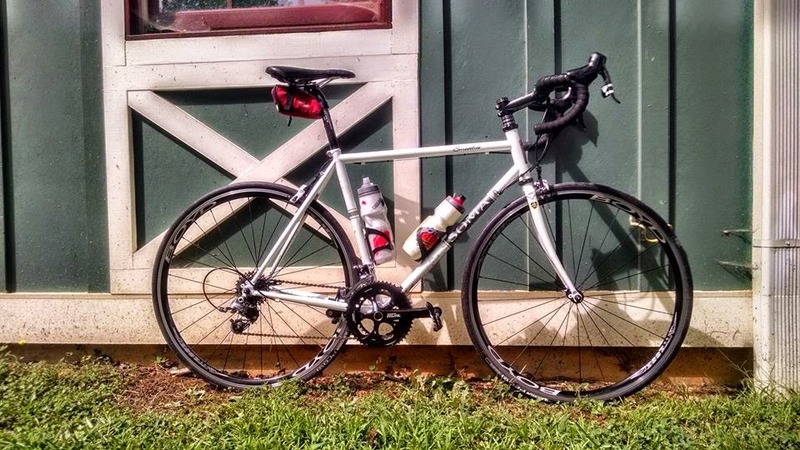 Its so smooth that I doubt that my old aluminum bike is going to get many more miles on it." 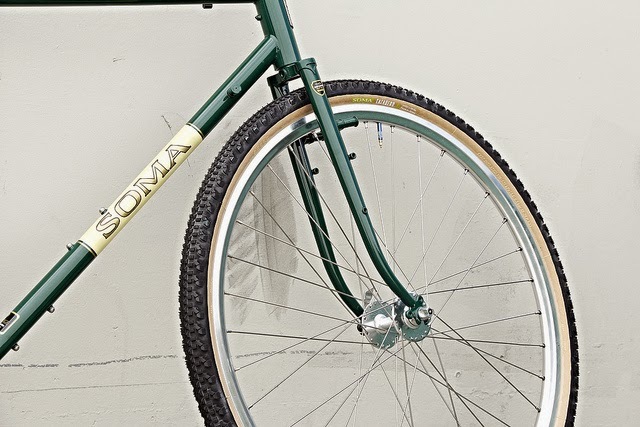 The Soma Smoothie is our most responsive road frame. It is available in Slick Black or Pearl White. 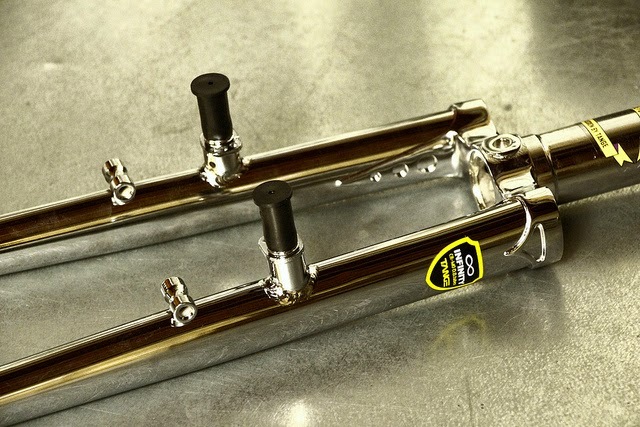 A lugged steel or carbon fork are available as options. It is made of heat treated Tange Prestige double butted CrMo steel. I've attached some photos of my Soma DC. 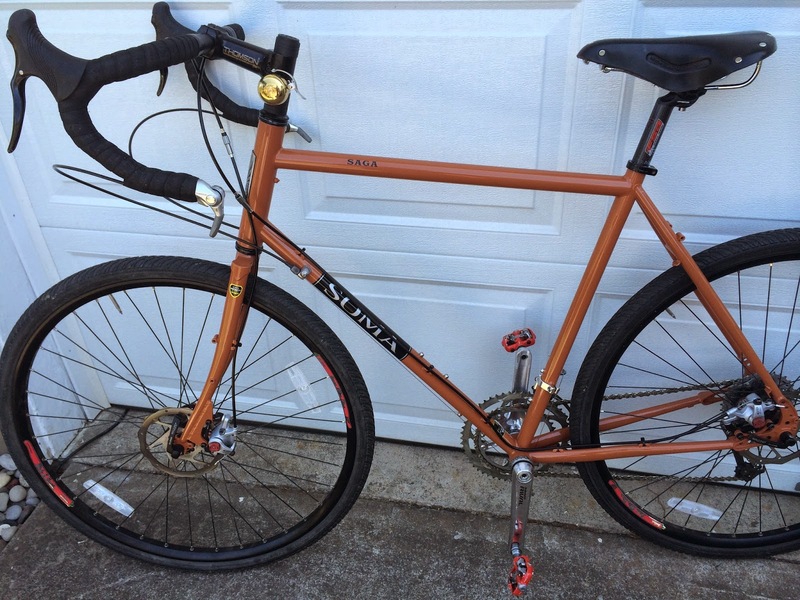 I'm running it as a commuter bike in Philadelphia, PA. I purchased a Cinelli Pro Estrada frameset a month before I got this and ended up never building that Cinelli. 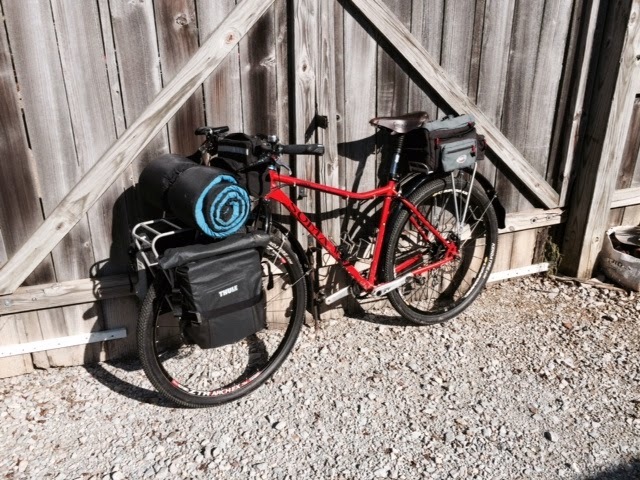 This self described roadie embraces fat tires in a big way by shodding 2.0's on his Wolverine. Just thought I'd drop you guys a pic of my latest build. I've been using this bike as a trainer/commuter since it handles really well on all types of terrain and it's set up so comfortable. 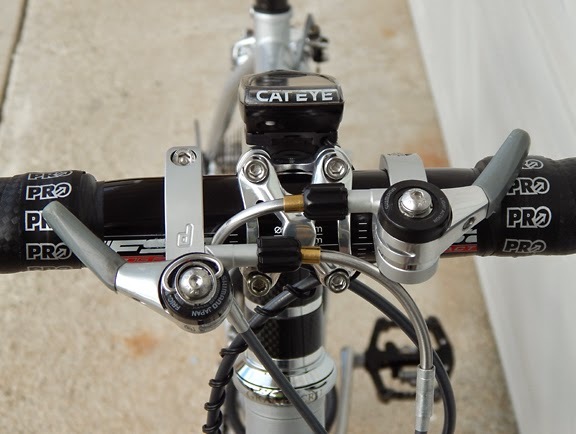 I'm joining a group of my buddies next week to ride the GAP trail in PA so I have it set up in touring trim. Thanks for a great product!!! 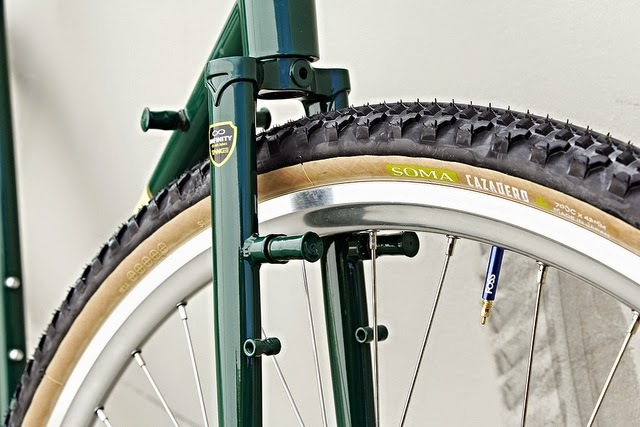 This past July, I sent you some information on my Soma B-side 26" build. Here is my new Soma ES build. It too is a bit different. 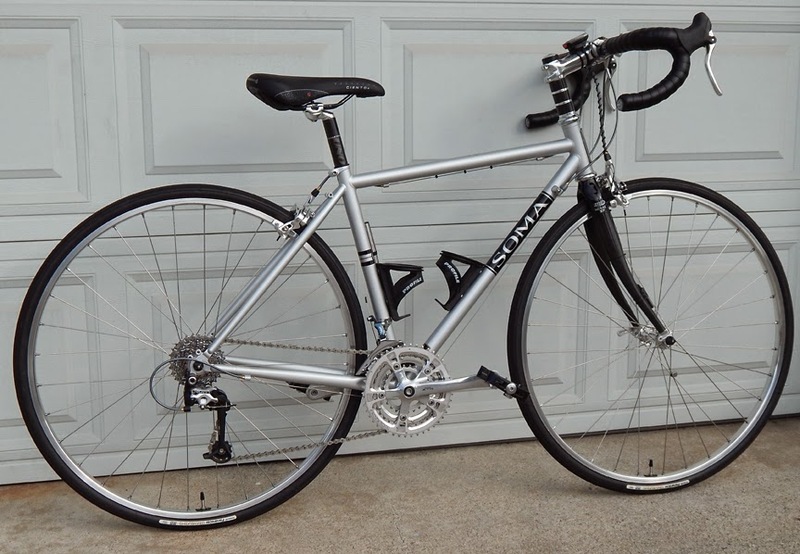 I have not owned or ridden a traditional road bike for over 20 years. I was looking to replicate the type of bike I road some thirty years ago, but at the same time, I wanted to allow for a few contemporary updates. Since I already owned two Soma mountain bikes (Groove and B-Side), looking at a Soma Smoothie seemed to be a logical place to start. 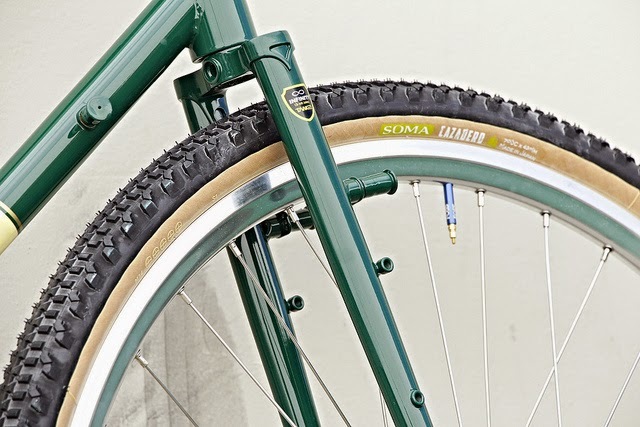 I eventually settled on the Soma ES model as it was a better fit for me, and would accommodate the vintage parts I planned to use, as well as providing the possibility of 32c tires. I love a frame that allows for options. I tried to keep with silver components for the most part. In the end component choices were ultimately dictated by what I already had, and what I knew I personally needed. As I get older, comfort tends to be an ever increasing consideration. The final result seems to have nailed what I was after: speed and a plush ride. ES is short for Extra Smooth, I would have to say that is an understatement. This bike just seems to float over the pavement. 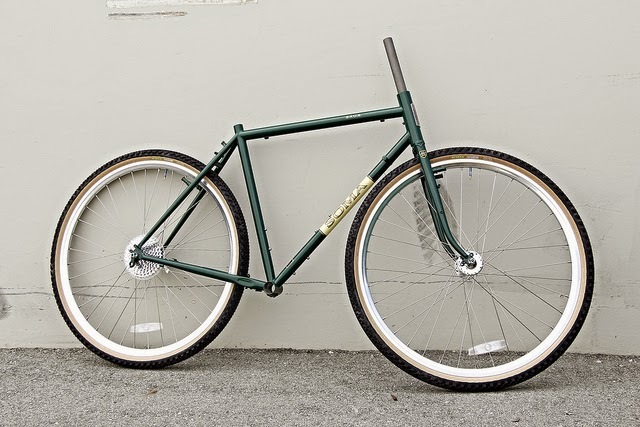 Besides the Prestige steel frame, I have to credit the 23mm H+Son box section rims and 28c Panaracer tires. I knew from past experience, a good box section rim with a high thread count tire can yield a very plush ride. A special thanks to Adrenaline Bikes of Orange, CA for all of their input, and for the great deal on the frame and fork. This is the second Soma frame I purchased from them, the other being the B-side.